The P12 has a very wide range of easily accessible parking spaces from the RING. These are available at the entrance of the car parks. The site is conveniently accessible by car thanks to the extensive road network in Belgium. 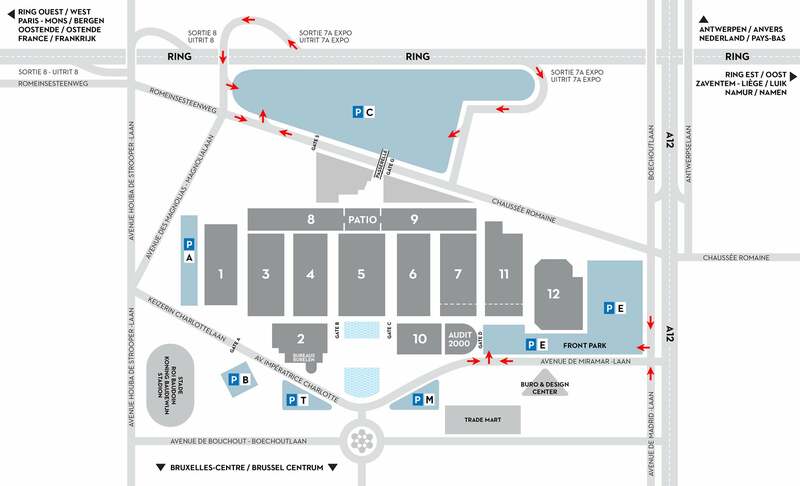 The venue has over 12.000 parking spaces close to P12. Located close by the public entrance of the P12, 24/24. Has a capacity of 9,900 parking places, and is connected to P12 by a footbridge and privatized path all the way to P12. Has a capacity of 900 parking places and is located close by the public entrance of the P12.